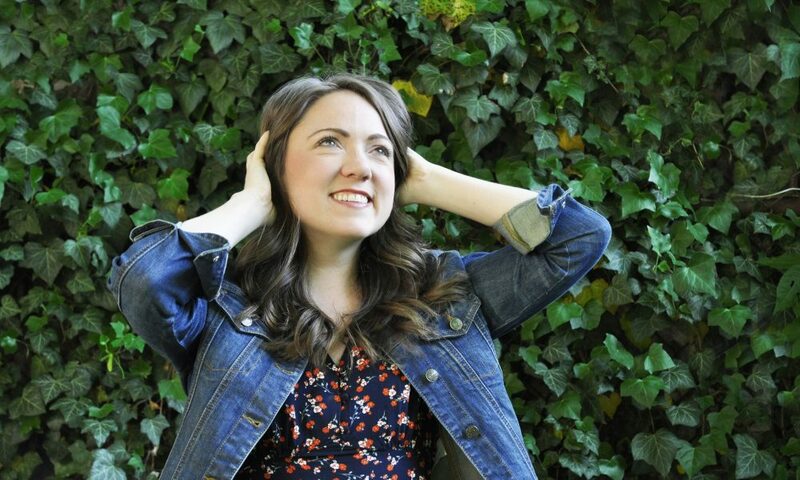 Today we’d like to introduce you to Katie Dobbins. I’ve often wondered to myself, when exactly did I allow my insecurities and fears to get in the driver’s seat while my dreams and passions faded into the background? I can recall certain snapshots of my life that contributed to this shift – but at the end of the day, it’s something that can happen to anyone. It’s easy to start mindlessly going through the motions of life – knowing that there’s something more, but never stopping to consider what that might be. My story isn’t one of overcoming trauma – it’s a story about getting out of my own way, about getting free from myself. Let me set the “stage” for you. I grew up in a small New Hampshire town, and I was immersed in music from a very young age. We inherited a piano before I could walk, and for years my parents’ car had no radio – so we would entertain ourselves on long drives by making up songs together. In middle school a close friend taught me some chords on the guitar, and I learned enough to begin writing my own songs. I’d always been a creative and emotional kid, so expressing myself through song felt extremely natural. By this time, I was providing car entertainment for my parents by playing my own songs in the backseat – even though we finally had a working radio. From elementary school on, I was involved in every musical, band, choir, and coffee shop performance I could get my hands on. I was confident and sure of myself. I wasn’t afraid to dream big. Then came fear and what-ifs. What if I wasn’t good enough? What if everyone else believed in me more than I believed in myself? What if pursuing music wasn’t even what I wanted? What if I went all-in and failed? Thus followed seven years of pretending I didn’t care – of living in fear of my own potential and dreams. 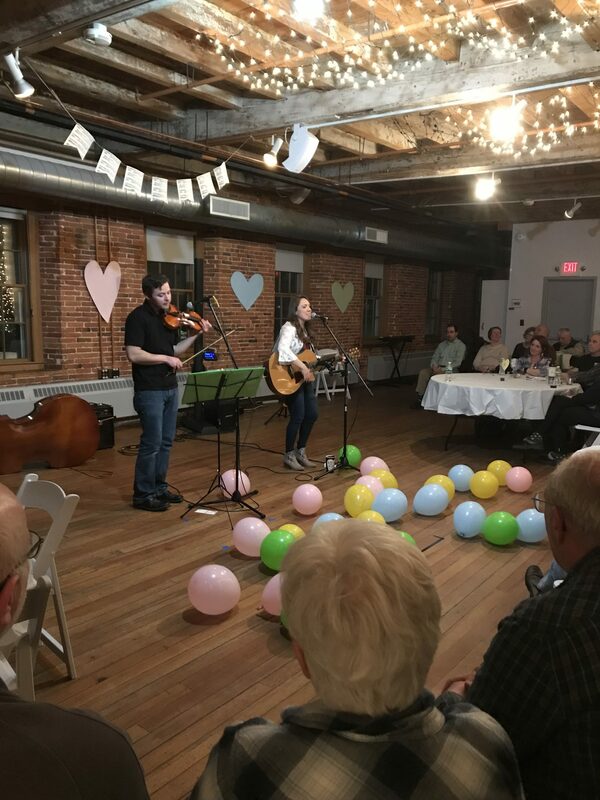 During this time I received an invaluable education at Bates College in Lewiston Maine, but I didn’t bring my guitar – and when I met new people, I never even mentioned my passion for songwriting. You might say I was a “closeted musician.” I had decided that those dreams were meant for someone else – you know, those “super talented” people who obviously weren’t me. 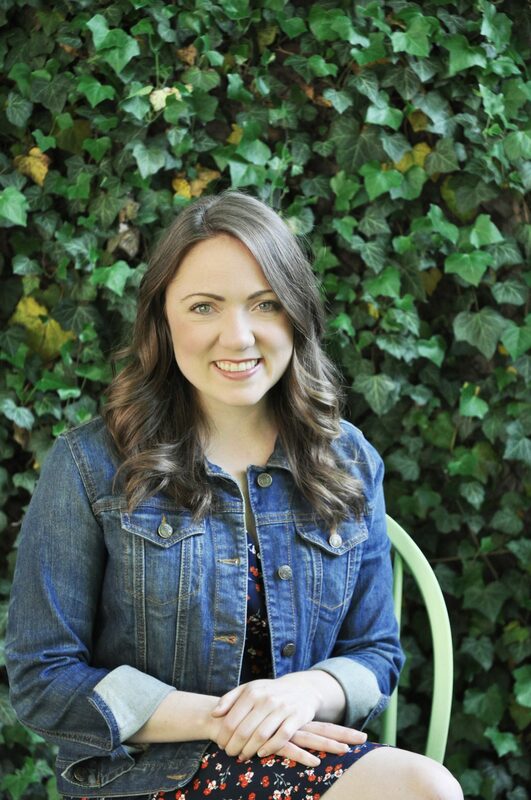 I fixed my eyes on more realistic passions and began pursuing my teaching career and graduate degree. Here’s the thing – my life was good by all measures. I was succeeding at the whole “adult” thing, and people were proud of me. If you had asked me, I would have told you I was happy. It took a miracle moment to wake me up and realize that at some point I had lost control of my own life and become someone I never intended to be. This miracle moment came at a Christian women’s conference in NYC. For the first time, I heard God speak to me clearly. From that point forward I knew without a shadow of a doubt that I could no longer sit on the sidelines watching everyone else live their dreams while I let my own passions dampen. I wasn’t sure what was going to happen, but I knew I had to step out in faith and be brave. I came home and immediately created a Facebook page for my music and decided to record my debut album. I named the album She Is Free to commemorate my breakthrough experience that catapulted me into new freedom. I suddenly was no longer embarrassed about my passion for music or even my faith in God. I unapologetically embraced every facet of myself, and for the first time I felt truly fulfilled and excited about my future. She Is Free was released in May of 2017, and that released launched an ongoing movement called Let The Music Set You Free. After seeing the impact of sharing my personal freedom story, I realized how powerful it is to share our experiences. 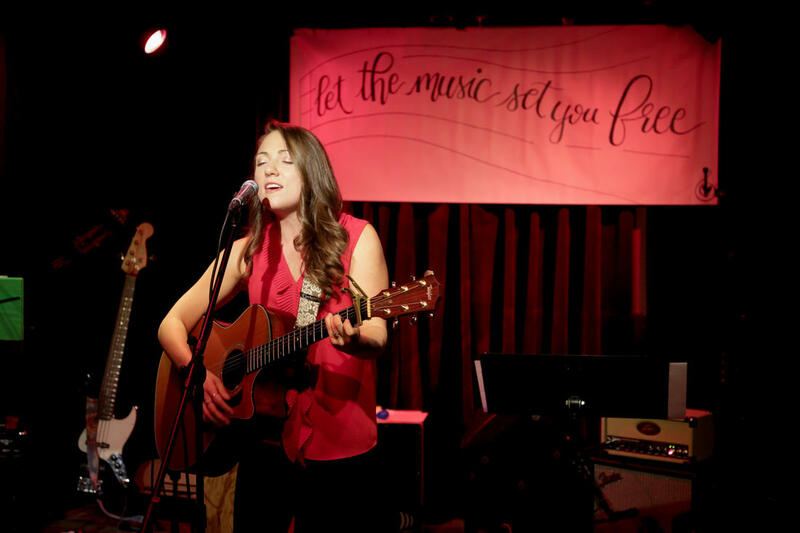 I booked monthly Let The Music Set You Free shows around New England – that centered on themes of personal freedom, empowerment, and self-love. 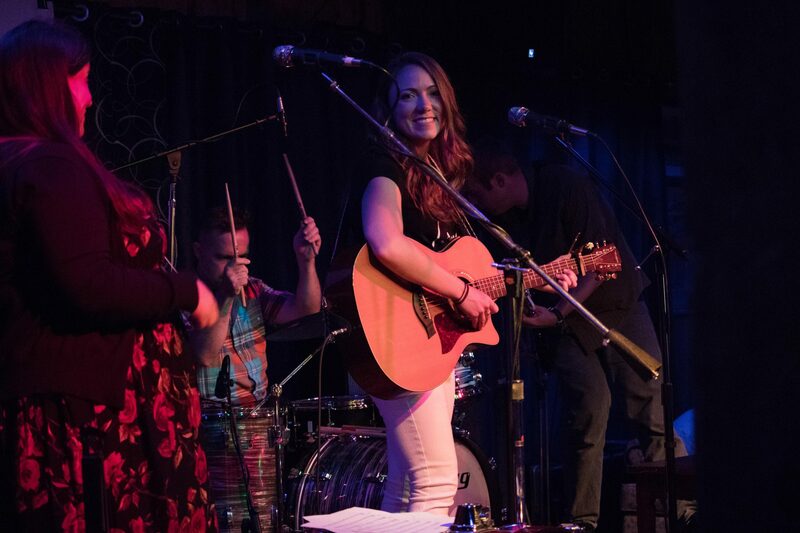 Two different singer-songwriters performed with me at every show, and we joined our voices with hopes to encourage others to break free from things that have held them back in their lives. My journey as a singer-songwriter over the past year has been incredible. I’ve met so many amazing and inspirational people, and I can’t imagine how much I would have missed out on if I hadn’t taken that deliberate step into freedom. More importantly, if my story or this Let The Music Set You Free movement has the power to inspire freedom in someone else’s life, then who am I to get in the way of that? I am currently in studio recording my second CD, and Let The Music Set You Free has continued on in live shows and as a monthly Podcast where myself and guest artists talk about specific things we are breaking free from in our lives. I can’t wait to see what else is in store! Sometimes I get frustrated about my “wasted time” during those seven years in no-man’s land, but then I remember that this is all part of my story – and without that time and process of growth and self-discovery, without that life-changing moment, my passion and my story would not be what it is today. Don’t ever get down or regretful about your story. The details of your journey makes you who you are – and can speak to someone the way no one else’s story can. Never believe that you’ve missed the mark, that it’s too late for you, or that you aren’t capable of pursuing your passions. It’s all lies that distract us from our true potential – and from inspiring others to live up to their true potential too! We can never be too old, too hardened, or too imperfect to continue writing our stories – stories that will be woven throughout history, interconnected with chapters in other people’s lives, and stories that will speak to and transform hearts and minds. Yes and no. I feel so incredibly blessed and grateful when I think back over the past year. But of course nothing comes without challenges, especially when embarking on a new adventure in uncharted territory. Feeling not good enough – comparison… When I stepped out and decided to do the whole music thing, my feelings of fear and inadequacy didn’t just disappear. I don’t know if self-doubt will ever fully disappear. Being surrounded by so many amazing singer-songwriters in Boston, it’s easy to let those old thoughts like maybe I should just let them do this… creep back in. Or if a show doesn’t go the way I had hoped, it’s easy to get discouraged. I have to keep the big picture in mind and always hold onto that breakthrough freedom moment. I also hold onto the times where people have given me positive feedback, or shared with me their own personal stories after being inspired at a show. Those moments are so beautiful and make all of the challenges worth it. The other thing is… I never knew how much hard work went into being a singer-songwriter before this year! I have become a businesswoman, a financial planner, an event coordinator, a marketing agent and promoter, along with all the creative aspects of being a musician! It’s crazy, but it’s perfect for me because I am passionate about every aspect. I would say my biggest challenge right now is balancing my passion for all things music and my personal life. It’s a little too easy to become a workaholic when you truly love what you’re doing. 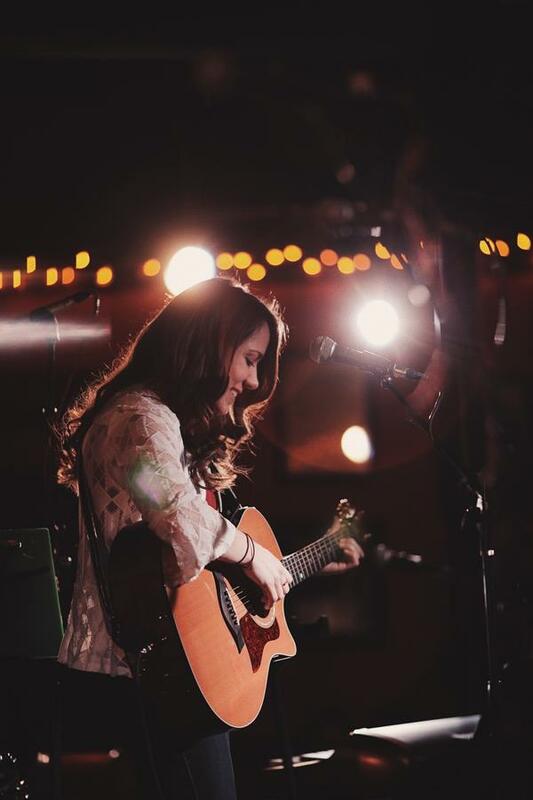 Katie Dobbins Music – what should we know? What do you guys do best? What sets you apart from the competition? 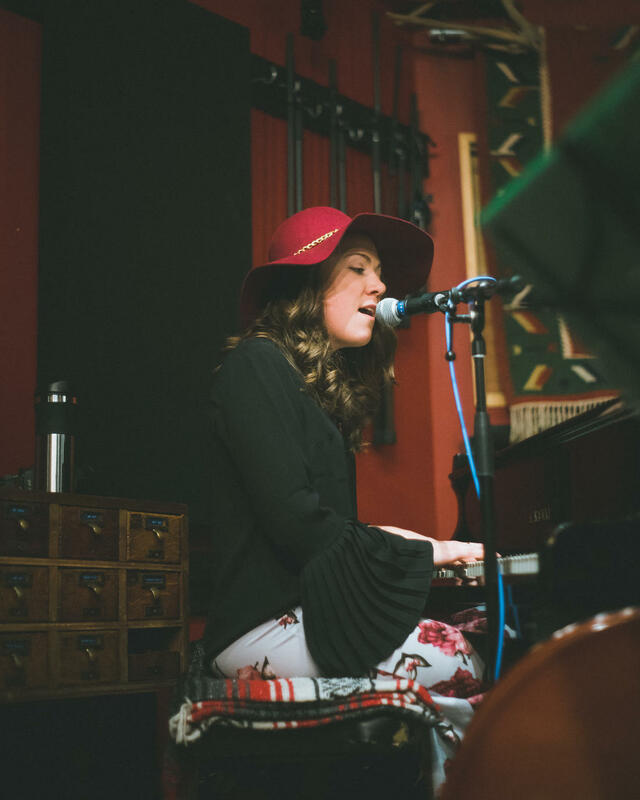 The mission of Katie Dobbins Music is to use music to reach hearts and minds, and to help spark the inner fire within us all. This encompasses live shows throughout New England, monthly Let The Music Set You Free podcast episodes, an ongoing social media presence, and community building. I also play and sing in the worship band for Storyheighs Church, located in Newton and Southie. This helps me stay focused on the source of my personal freedom, as I continue to take my story to new heights and empower others to do the same. I am so grateful for the ways I’ve been able to see my songs and stories impact the lives of others around me. That is my greatest hope as a singer-songwriter, and the Let The Music Set You Free movement has been a great catalyst for that. This is such a good question. I think I feel successful when I am growing both personally and professionally. I don’t measure my success as it compares to others, but by whether I am changing and pushing myself to new depths. This past year has brought me immense growth, and I’ve been able to measure that growth by how I empowered I feel, how inspired others are around me, and the connections I’ve been able to grow. As a singer-songwriter I sort of did things backwards. Many performers spend years building a fan-base before releasing an album, but my release of She Is Free was my formal introduction to the Boston music scene. 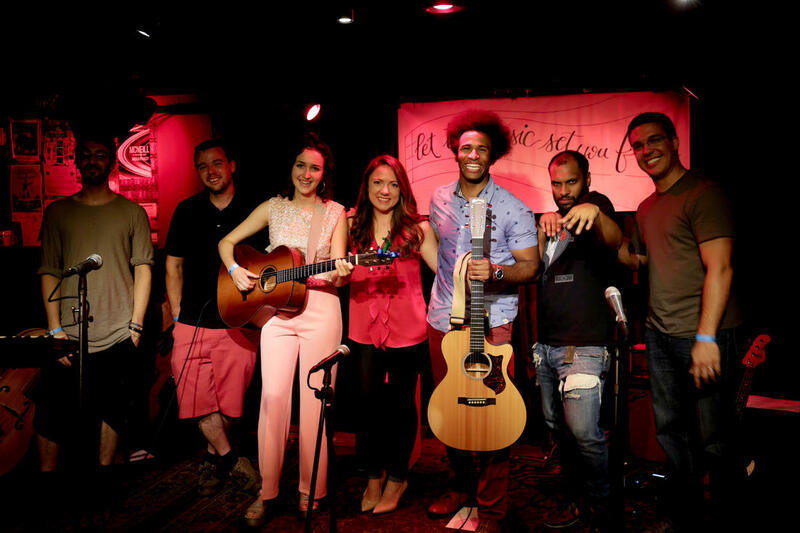 I was overwhelmed with the success of that show – and the number of people (friends, family, and musicians) who came out to support me, despite my newness in the scene. It really made me feel like I had a community of people who believed in me, and it helped propel me forward. That show launched the entire Let The Music Set You Free movement. 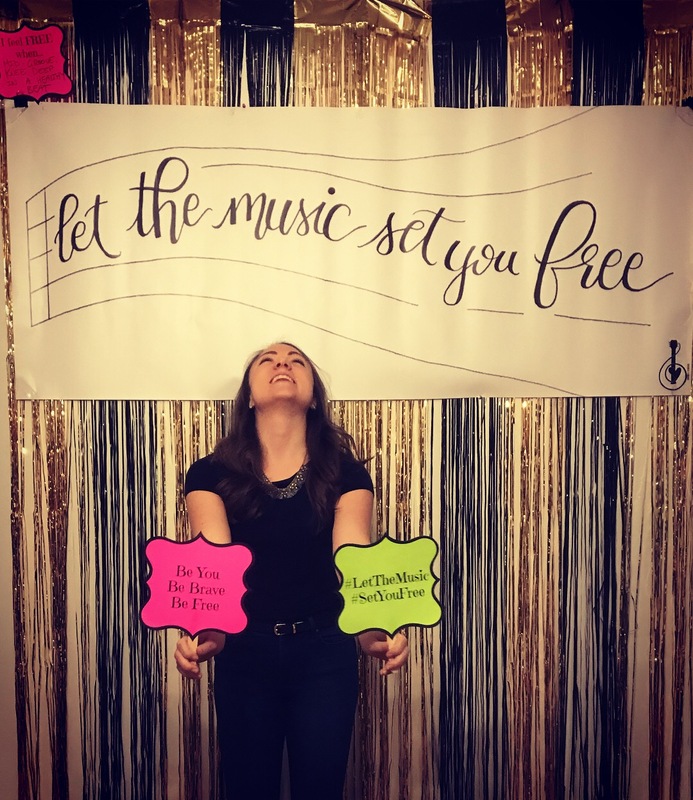 Seven months, sixteen musicians, and countless new friends and fans later, I organized a Let The Music Set You Free celebratory house concert! Every artist who had joined me for a show over those seven months played a set, and the atmosphere was so intimate. (Side note – I love living room shows, so connect with me if you’re interested!) I wish I could do that show all over again one hundred times. It was a testimony to the beauty of community, and it was so wonderful to see so many people who have come alongside me on this journey, together in one room! It was confirmation that the growth I’ve been experiencing personally, professionally, and alongside my community was real.